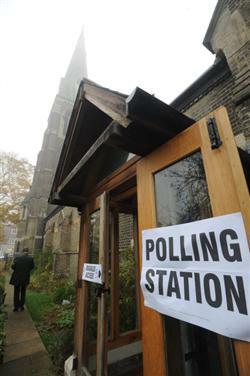 On the 2nd May 2013 Cambridgeshire residents will be going to the polls to elect their county councillors. These elections come at a time when Cambridgeshire County Council must make cuts of £37m this year, on top of £42m last year and £40m the year before in order to meet the targets of the national Coalition government. As Britain’s growth forecasts continue to be revised down and all the indicators point to stagnation and another downturn in the world economy, the councillors elected on the 2nd May are likely to face demands from the central government to increase the speed and severity of these cuts even further. Cambridgeshire is already suffering under austerity. Cambridge Regional College faces £3m of cuts in the next academic year; 20% cuts to the Cambridgeshire police force have cost numerous jobs; 1000 NHS jobs have been cut in Cambridgeshire leading to extraordinary pressure on facilities. The list goes on and on. Ordinary people are being made to pay for a crisis that they did not cause. We can’t afford the cuts currently being carried out in Cambridge and with yet more cuts on the horizon the austerity will soon become intolerable. The pain of this crisis is inflamed by the bankers and bosses who, despite the falling standards of living for the majority of people, continue to pay themselves millions of pounds per year while avoiding as much tax as possible. I want to elect a councillor who will fight these cuts and who will defy the government and refuse, point blank, to cut the living standards of the people they represent. I do not want a councillor who will tell me that some cuts are necessary or that cuts by one party will hurt less than cuts by another party. So why am I voting Labour? Ed Miliband’s recent visit to Cambridge was less than inspiring. When questioned by a member of the Marxist Discussion Group on whether he would support councillors opposing the cuts he refused to answer. Labour councillors fighting the cuts in Hull have been disciplined by the party, simply for carrying out the programme upon which they were elected. Despite this, I’m voting Labour because it is, historically and currently, the only political expression of the working class. 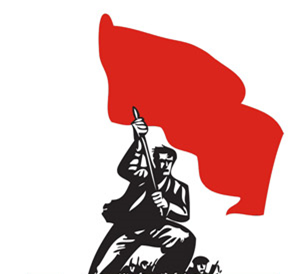 The party was founded by the trade unions to represent working people. The unions continue to support, finance and direct the party and Len McCluskey of Unite (of which I am also a member) has recently sent 5000 activists into the party to argue for the nationalisation of the banks and for a one day general strike. A rotten leadership does not automatically equal a rotten party. A thriving, democratic party full of activists will be enough to dislodge the careerists at the top. I’m encouraged by some of the Labour candidates standing in Cambridgeshire. Joan Whitehead, the candidate for Abbey, says “[Austerity] measures should be opposed, and the hard-won rights of working people defended.” Clare Blair, formerly of the Liberal Democrats, is also standing for Labour in East Chesterton. At the time of her defection to Labour in February 2012 she said “I have seen far too little of the Council standing up for Cambridge against policies I truly believe are horrendous”. I hope these are steps in the direction that working people in Cambridgeshire need their councillors to move. We need councillors who aren’t afraid to point out that the current leadership of the Labour Party has to either fight the cuts, or be replaced immediately. We need councillors who recognise that this economic crisis is a crisis of capitalism. We don’t want to be lectured on ‘responsible capitalism’; capitalism is the exploitation of working people for profit – ‘responsible’ doesn’t come into it. If we accept capitalism, we accept the crisis, cuts, and misery that come with it. We need councillors to reject cuts and make the case for public ownership of major monopolies, utilities and businesses as a way out of this crisis. We need Labour to rediscover Socialism – democratic control of the economy by working people. I will be voting Labour, but I won’t stop there. I will continue to argue against austerity and I will continue to put the case for a socialist Labour Party and a socialist Britain. I encourage anyone who wants to get involved to vote Labour, join the Labour Party and a trade union, and come along to the Cambridge Marxist Discussion Group.